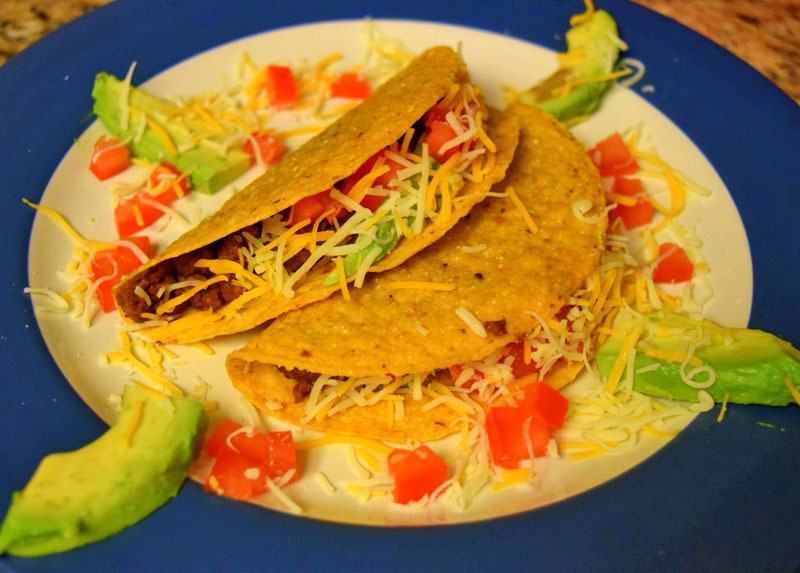 Crunchy tacos are one of my go-to dishes since they are so simple and delicious. Whether you are cooking for two or ten, Bolner’s Fiesta Brand® Taco Seasoning can help you create a straighforward meal that everyone will enjoy! Begin by browning your meat over medium heat. 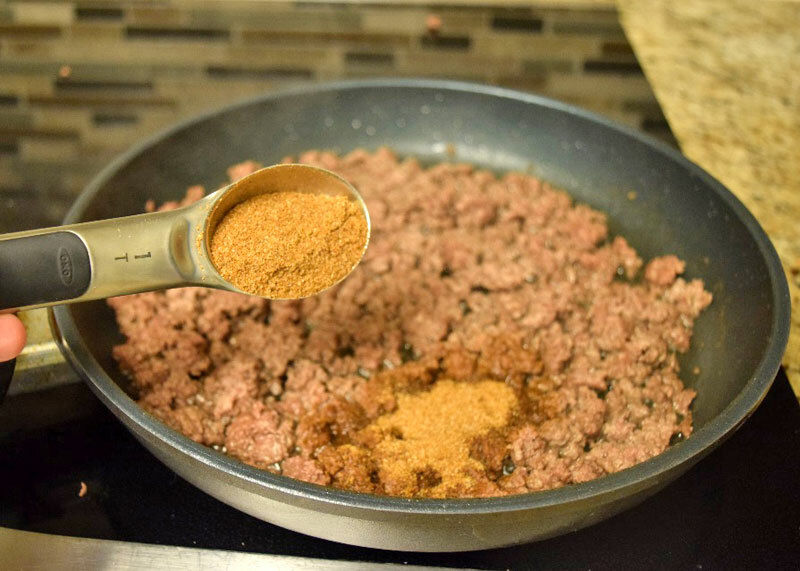 Stir in the water and Taco Seasoning once your beef has cooked through. Simmer until done (15-20 minutes). You may ask yourself, “why add water if it’s just going to evaporate off”? This is a little known trick to add more flavor into your meat. By adding water with the seasoning, the protein is able to cook longer to absorb the spice without drying out. Once your ground beef is done, spoon into your taco shells and top with your favorite toppings. Viola! Dinner has never been easier! 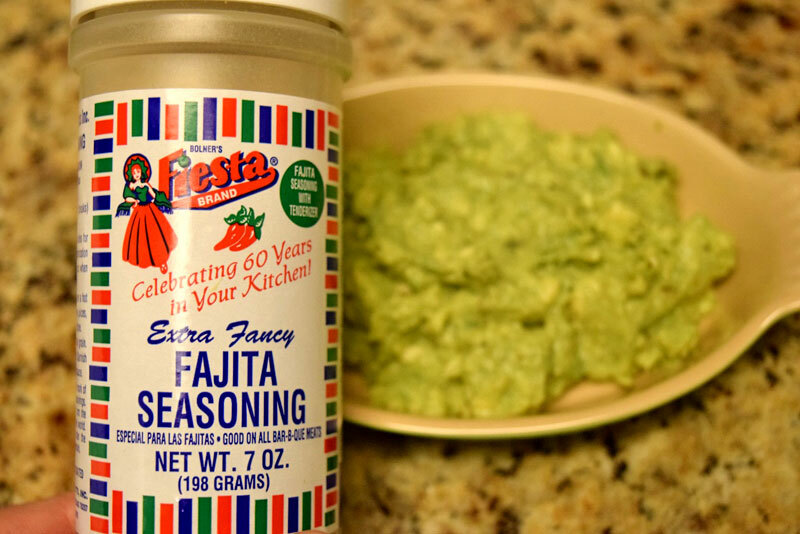 Serve with guacamole seasoned to taste with Bolner’s Fiesta Brand® Fajita Seasoning for a real treat! Eat up, and keep it spicy, Yall!